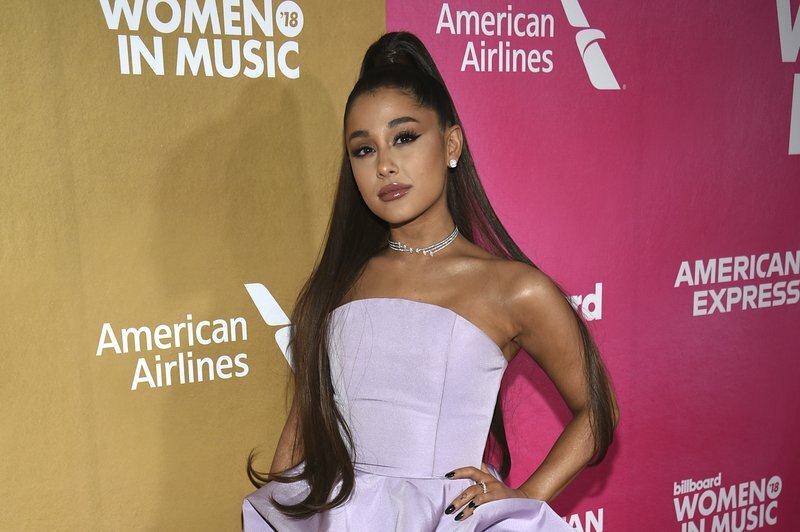 NEW YORK, Dec 7: Ariana Grande capped off a successful year as a pop star — but a trying one as a maturing young woman — at the 13th annual Billboard Women in Music event, where she was named Woman of the Year. The 25-year-old singer was teary-eyed at times during her acceptance speech as she reflected on her year, which included the end of her relationship with comedian-actor Pete Davidson and the death of her former boyfriend, the rapper Mac Miller. Grande’s successful year included another No. 1 album with “Sweetener” as well as multiple hits, from “No Tears Left to Cry” to “God Is a Woman” to “Breathin.” She sang “Thank U, Next” — her first No. 1 smash on Billboard’s Hot 100 chart — in front of the audience including Alicia Keys, Dua Lipa, music executives and honorees like Cyndi Lauper and Janelle Monae. Patti LaBelle praised Grande for her strong vocal ability before handing her the award, and the night was full of similar moments as women uplifted one another. Country singer Kacey Musgraves kicked off the event with a soft performance and won the Innovator Award. Monae, who came out as pansexual this year, received the Trailblazer Award and said a fan recently told her that listening to her album, “Dirty Computer,” encouraged her to come out to her family. “I think moments like those, they remind you no matter what’s going in your life, how bad you feel, that by us walking in our truths, it can sometimes give the next person the courage to walk in theirs,” Monae said. British singer Ellie Goulding hosted the two-our event, where Lauper was given the Icon Award and was honored by Emmy-nominated performer Tituss Burgess, who wonderfully sang “True Colors.” R&B singer SZA, who was the most nominated woman at this year’s Grammy Awards, received the Rule Breaker Award, while pop singer Hayley Kiyoko performed her upbeat song “Curious” and earned the Rising Star Award.